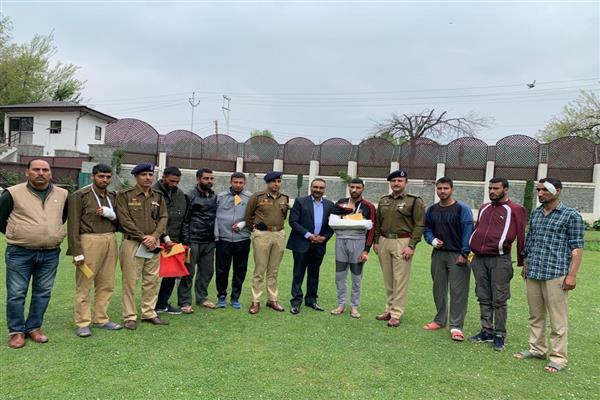 Srinagar: Director General of Police, Dilbag Singh today handed over welfare relief in favour of the police personnel who were injured during election duties in North Kashmir’s Sopore area. DGP along with Inspector General of Police, Kashmir range, S.P Pani met the injured police personnel today. Both the officers wished for the speedy and quick recovery of the injured cops.